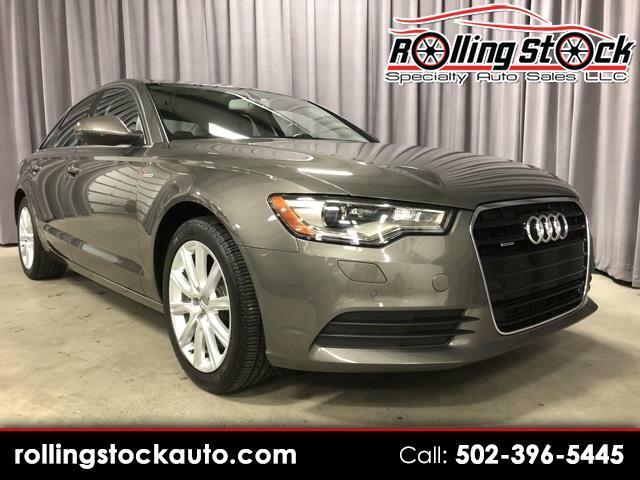 2013 Audi A6 3.0T Premium quattro- Local New Car Trade In, Clean Carfax Report with Documented Dealer Service Records, Non-Smoker, Garage Kept and I Can't Find a Flaw Anywhere on this Awesome A6 It Is new Inside and Out. Loaded with Factory Options and It Went Thru it's Service Inspection with 2 Thumbs Up... Don't Miss this Opportunity to Own a World Class Luxury Sedan for a Fraction of What You Would have to Pay for a New One. Contact Cary Donovan 502-396-5445 and Schedule Your Appointment to See this One On Display at My Louisville Indoor Showroom.